Nikki Reed and Ian Somerhalder are expecting a baby | Daily Mail Online: "Twilight star Nikki Reed is expecting her first child with husband Ian Somerhalder. 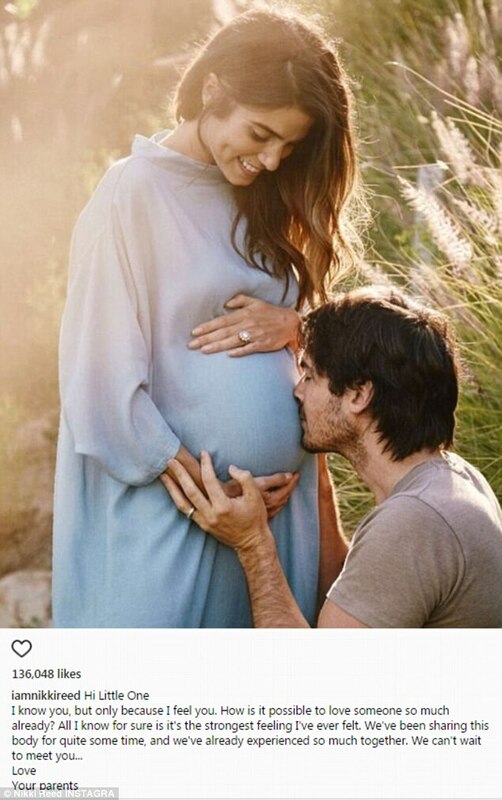 The actress, 28, shared her exciting news with fans via social media on Thursday, posting a photo of Ian placing a tender kiss on her pregnant belly. Nikki cradles her bump with both hands while her Vampire Diaries star husband kneels down with his left hand on her right hand."